Designed by Ludwig Mies van der Rohe, one of the most influential architects of the 20th century, the Farnsworth House is the quintessential example of modern design. 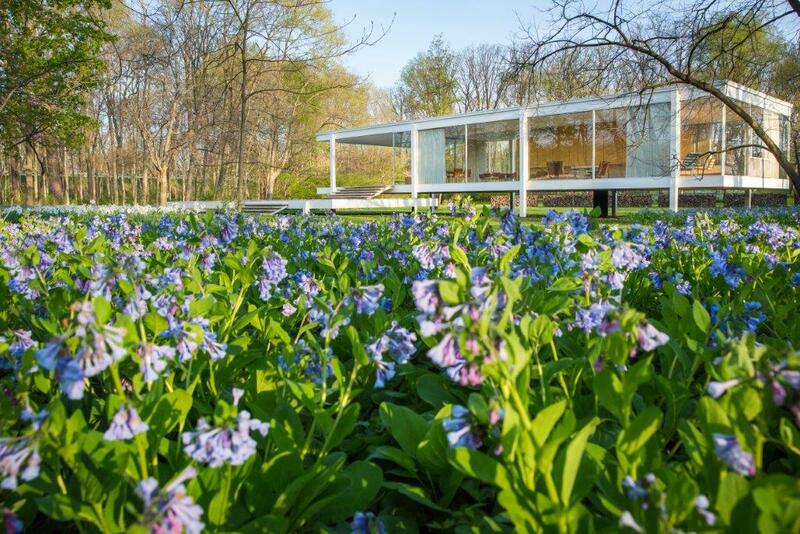 And yet, it is also, quite literally, a hidden gem--one of only three such examples of the intimate, domestic structures Mies designed, the Farnsworth House is tucked away into a quiet, sanctuarial grove on a gorgeous stretch of the Fox River in Plano, Illinois, 60 miles west of his famed contributions to the Chicago skyline. In another sense, Farnsworth House remains undiscovered by generations: a full decade after opening its doors to the public under the stewardship of the National Trust for Historic Preservation, even many locals are surprised to learn that this iconic structure attracts visitors from around the world. Moonlight Tours: Experience Farnsworth House as the sun sets in the west. Evening tours are back by popular demand, occurring every full-moon weekend (Friday and Saturday)from May to October.